One of the biggest buyers of Iranian oil is unlikely to comply in full with US demands to reduce imports to zero. 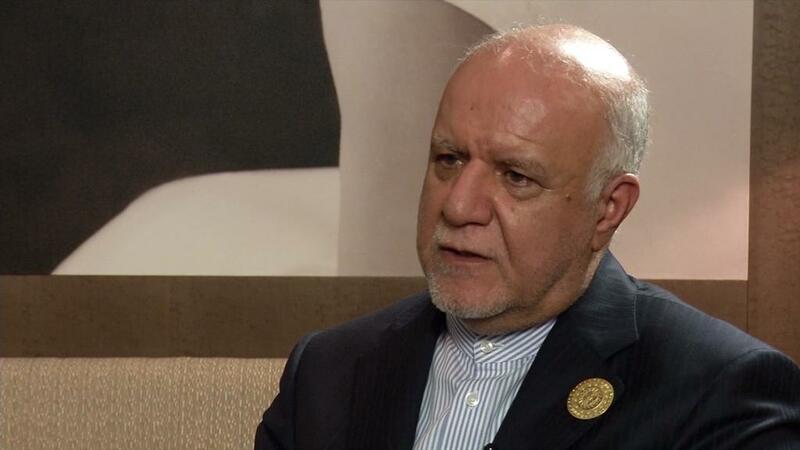 India said Wednesday it did not recognize sanctions the United States has threatened to impose on countries that continue to buy Iranian oil after November 4. "India does not recognize unilateral sanctions, but only sanctions by the United Nations," Sunjay Sudhir, joint secretary for international cooperation at India's petroleum ministry, told CNNMoney when asked whether India would reduce oil imports from Iran. The US demand was made by a senior State Department official on Tuesday. It reflects the hard line President Donald Trump is holding after he decided to withdraw from an international nuclear agreement and reimpose sanctions on Iran. Iran is India's third-largest oil supplier after Iraq and Saudi Arabia, according to Indian government data. And India buys more Iranian oil than any country except China. Analysts say the Indian government is unlikely to heed the US call. "More than China, India is unlikely to capitulate to the US demand," analysts at the Eurasia Group wrote in a note on Tuesday. They estimate that India is currently buying about 700,000 barrels per day from Iran, a critical and strategic source of supply to meet India's growing demand for energy. "India's state-owned refiners will likely continue to import Iranian crude," they said. India's top state-owned oil companies — Hindustan Petroleum, Bharat Petroleum and Indian Oil — did not immediately respond to requests for comment. Indian and US officials are currently meeting for talks in New Delhi to try to resolve a growing trade dispute triggered by the Trump administration's decision to hit Indian steel and aluminum exports with new tariffs. India has promised to retaliate with tariffs on 29 US products, starting August 4. Sudhir said the Indian government has so far had no "official contact with the US" on the issue of Iranian oil. Private oil companies in India may already be backing down, however. Companies such as Reliance Industries, the conglomerate run by India's wealthiest man, decided to halt oil imports from Iran last month, Reuters reported. Nayara Energy — owned by Russian oil giant Rosneft — is also reportedly planning to scale back its Iranian oil imports. Reliance and Nayara did not immediately respond to requests for comment outside regular business hours. Meanwhile, oil prices — another big worry for India — have surged following the Trump administration's demand. US crude spiked 2.5% on Wednesday morning, jumping to $72 a barrel. Brent crude, the global benchmark, stood at around $76 a barrel.